In a report published in July, the Bank of Korea stated that “cryptocurrencies’ receptivity must be enhanced if crypto assets are to function as payment means.” This means that more places have to accept cryptocurrencies like Visa cards can be used throughout the world. 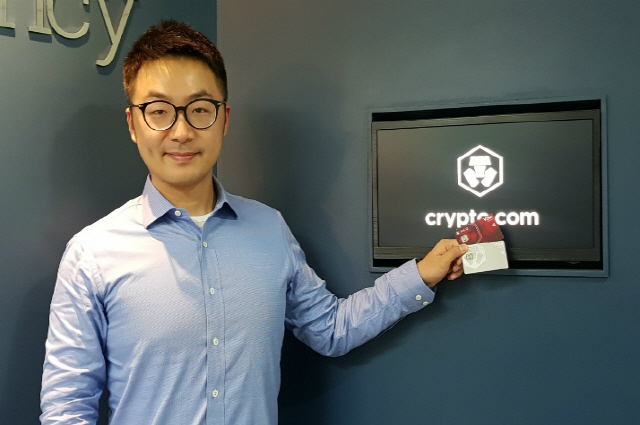 Cryptodotcom (formerly Monaco) co-founder Bobby Bao approached this crypto problem simply: making cryptocurrencies payment means by utilizing Visa cards spread already across the globe. In a recent interview with Decenter, Bao explained why he had opted for crypto payments among all the blockchain-based business models, saying, “Blockchain is perfectly suited for payments and settlements.” His statement is taken as meaning that if one uses cryptocurrencies, transparency in payments rises and overseas remittance fees drop as a result of remittance and withdrawal processes being recorded on blockchain. Toward that end, he had to look for places where cryptocurrencies can be used actually. “I had business goals of ensuring accessibility and usability of cryptocurrencies,” Bao said. Thus Cryptodotcom created the “MCO Visa Card,” named after its own token MCO, by grafting the cryptocurrency wallet onto Visa cards. Namely, he combined cryptocurrencies with the existing financial industry. Any investor who has downloaded Cryptodotcom’s Wallet App could make payments with cryptocurrencies at Visa card member stores. At the time of settlement, cryptocurrencies in the wallet can be converted into fiat money without transaction fees. Currently, MCO Visa Cards are used at Visa card member stores in Singapore. “We developed a wallet for accessibility and opted for cooperation with Visa for usability,” said Bao, adding that the number of users is increasing because our service supports a few popular coins as well as MCO.